Many of us know the history of Macbeth, but few people really ponder the life of the real Macbeth. Were they to do so, they may come across a number of historical inaccuracies in Shakespeare’s play. Here we will consider some of them to shed light on real events that took place in the 11th century, and insights of William Shakespeare on those events that had happened during the period from 1603 to 1607 when this play was written. As we know, The Tragedy of Macbeth is based on Holinshed’s Chronicles that served as the main source of information for this play. 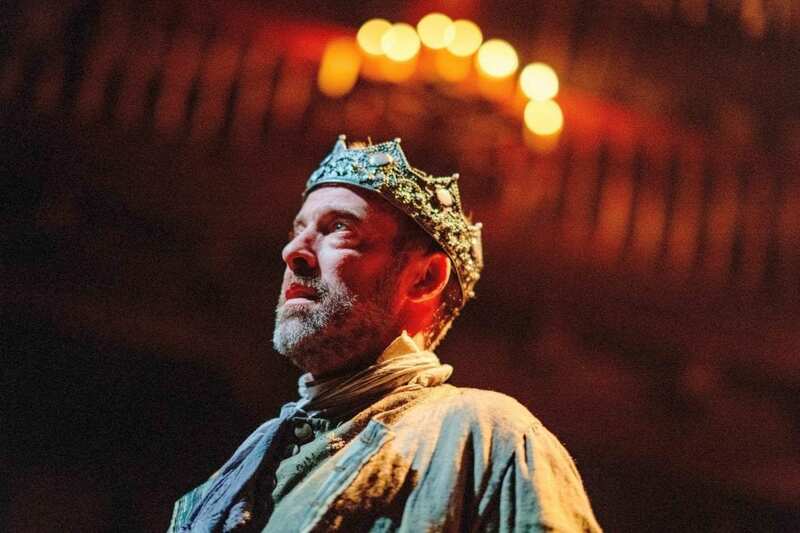 In his work, Shakespeare described events that took place in the 11th century when regicide and state disconnects resulted from the struggle for power between King Macbeth, Macduff, and Duncan I took place in ancient Scotland. However, historical events of that time were significantly influenced by the worldview of King James who ruled the country at that time and was a big fan of theatre. For this reason, many experts consider that Shakespeare’s writing has nothing in common with the real events that occurred in Scotland many years ago. As it is described in Holinshed’s Chronicles, King James was a descendant of Banquo who was Macbeth’s partner in crime when they murdered King Duncan so the latter could take the throne. As King James I was considered a descendant of Banquo, Shakespeare significantly changed his character by showing him as a loyal and noble man aiming at restoring his good reputation. At the same time, murdering the king was a common way to come to power. Although Macbeth came to power by killing King Duncan, he also did a lot of good for people who lived in Scotland at that time. For example, he gave money to poor citizens, established order in his country, imposed law and supported Christianity. People enjoyed his ruling while Shakespeare portrayed him as an anti-hero who committed a crime, captured power and led Scotland through terror. Macbeth ruled for seventeen years that was more than the average ruling period of any other king. He was called “a generous king” that contradicts with the Shakespeare’s description. Shakespeare’s portrayal of Duncan and Macbeth was not historically correct. Shakespeare described Duncan as a wise, strong elderly king. In fact, Duncan was a young, weak-willed and ineffective leader. Another inaccuracy was that Macbeth didn’t have any legitimate claim to the throne. In reality, he had a claim as his mother descended from the Macalpin clan. Thus, he had the right to inherit it. The play starts with the scene where three witches were waiting for Macbeth and Banquo. According to Holinshed’s Chronicles, Macbeth was visited by three females, the Norns – mythological personages who could change the destiny of humans and gods. However, there is no evidence that he was visited by witches or any other mysterious persons. This story was invented by Malcolm, King Duncan’s older son, to protect his father’s good. Another inaccuracy is tight with the scene when Macbeth killed King Duncan. According to Shakespeare, this scene where Macbeth murdered King Duncan took place in Duncan’s house. In reality, Macbeth killed Duncan during a battle that was an honourable way to die in the XI century. Also, Shakespeare narrated that Macbeth could not sleep after murdering King Duncan. This doesn’t correspond to the reality because the murder of a ruling king was a common way to become a new king. It’s not likely that Macbeth was prone to pangs of conscience. Murdering someone was not an easy assignment, but those who dreamed about ruling didn’t have a choice. The description of Macbeth’s death had undergone the biggest change. Macduff killed Macbeth in the play, but this is not true. In fact, it was Malcolm, King Duncan’s older son, who murdered him. After his father’s death, King Duncan, Malcolm escaped to England threatened by death. He spent seventeen years in England while Macbeth ruled in Scotland. When Malcolm returned to Scotland, he used English army to kill Macbeth. However, Malcolm was wrong thinking that he could capture the throne because Macbeth’s followers placed his stepson on the throne. Malcolm killed him later and became a king who ruled Scotland for the longest period if compared to other kings: his ruling lasted for more than thirty-five years. There were many essential changes made by Shakespeare in The Tragedy of Macbeth. Despite using Holinshed’s Chronicles as a main source to write his play, he attempted to change history by presenting inauthentic facts for the sake of the ruling king. Therefore, this play can be used for educational purposes only with amendments and teacher’s comments. Still, some facts subject to debate for many experts as both stories made a great impact on history. Author bio: Neal Davis – A blogger and a big fan of British history. Those who study history well can differentiate between real facts and fake events. It’s funny, but I found out about the historical unreliability of this event when I was looking for someone who can write my assignment online.